Triple Zipper Pouch Swap + Winners!! 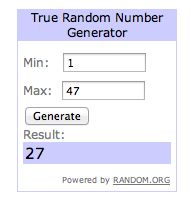 Which is Sara who wrote: 27. Wonderful! I love the fabric! She has won the 2 fat quarters. Which is sarahschraw who wrote: 8. Wow! I love that fabric. and you have one the 12 swatches. I will email both of you to get your mail addresses. I love the technicolor hexo fabrics, don’t you?? 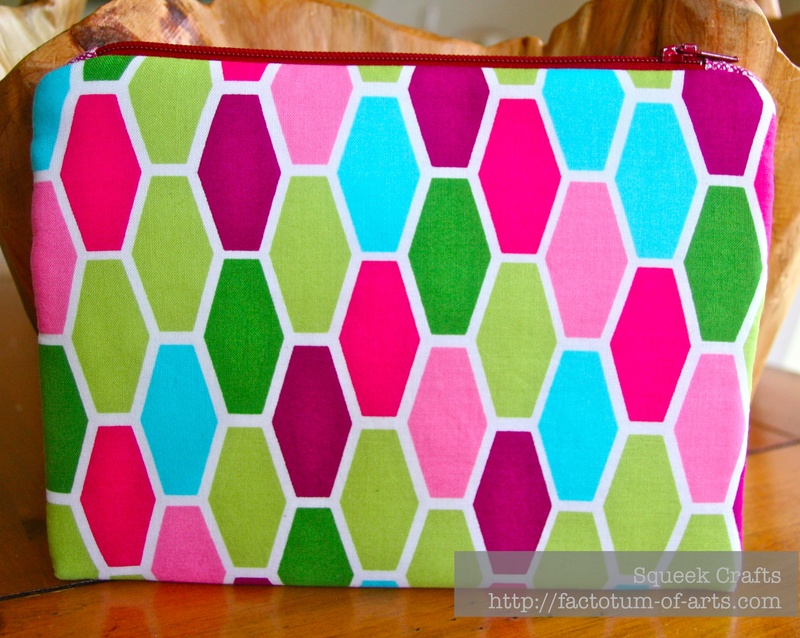 This entry was posted in Uncategorized and tagged Architextures, cloud 9, crafts, Flirty Flowers Tonal Dots, quarter shop, quilting, robert kaufman, sewing, Technicolor, triple zipper pouch, Triple Zipper Pouch Swap, westwood acres, Zipit, zippers on August 2, 2013 by mlwilkie. Congrats Sara and Sarah!!! So glad somebody will enjoy these fabrics, happy sewing gals 🙂 Michelle, thanks again for hosting the giveaway, what a great opportunity! 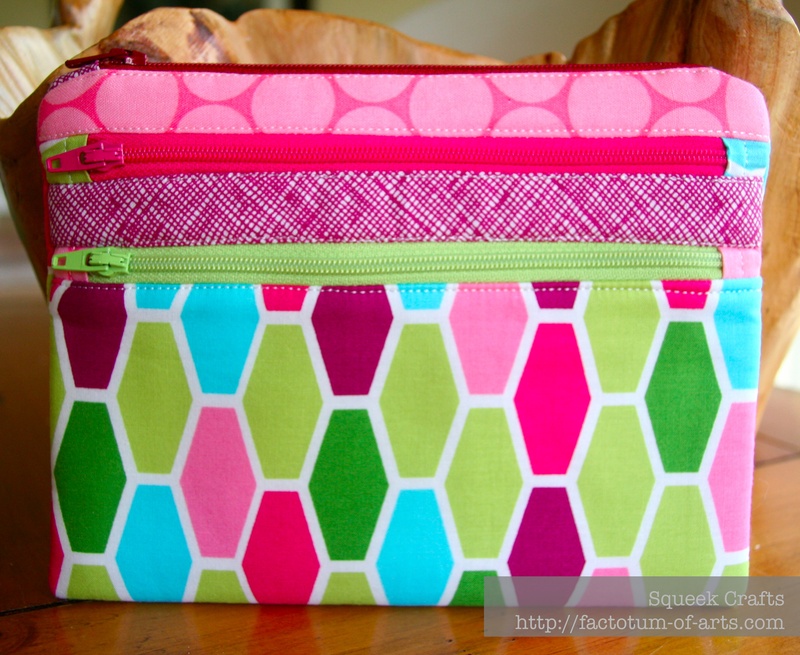 Love the fabrics of your triple zip pouch! Thank you…I am not really a pink person but I love that technicolor fabric and together I think they look pretty cool. Nice work and congrats to the winners! 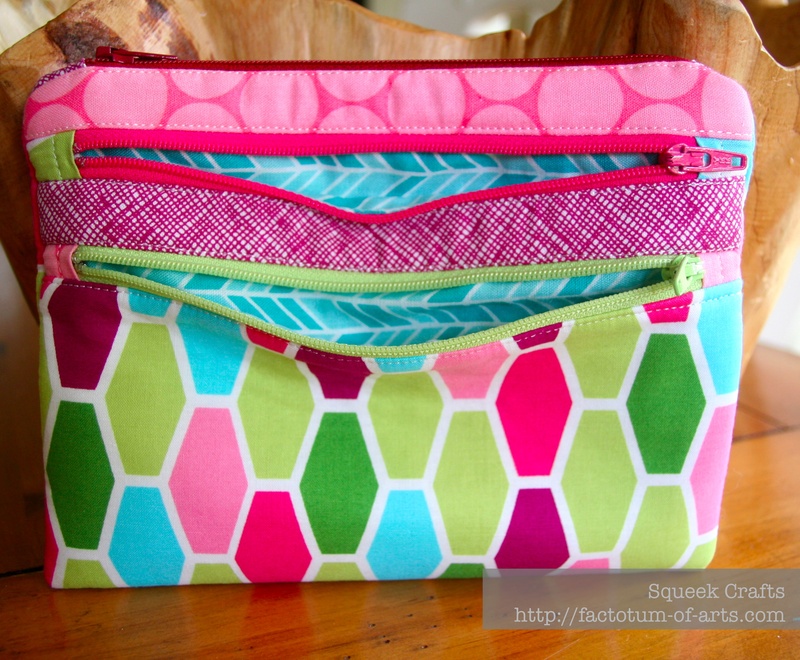 I love the colours in your triple pouch – looks great! Thank you. I love those greens in the stretched hexagons. Gosh that one is pretty! Beautifully smooth and well-sewn too!